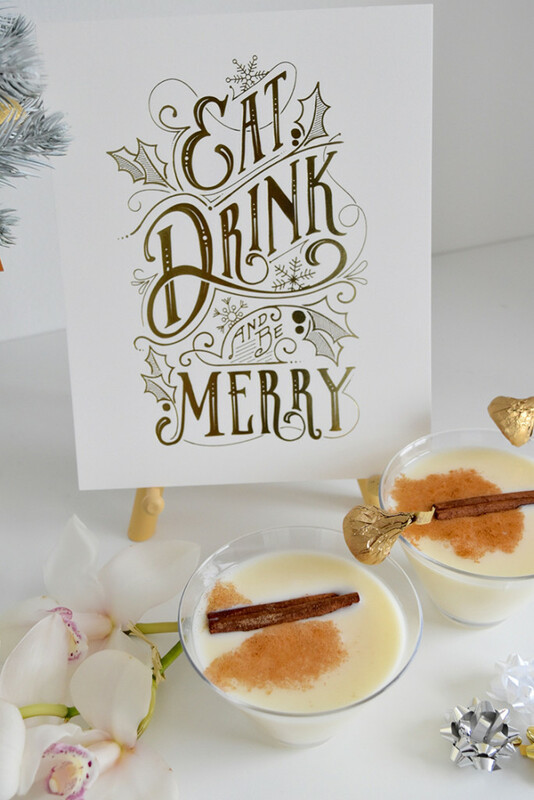 This winter season we’re using cocktail hour to have a little holiday gathering to celebrate the hard work we put in over the past 12 months and to toast the year ahead. We were inspired by KISSES DELUXE Chocolates for our holiday party and used these sweet eats to #SayMore to the team here at Little Miss Party. We decorated our white tree with KISSES Chocolates and gift notes. 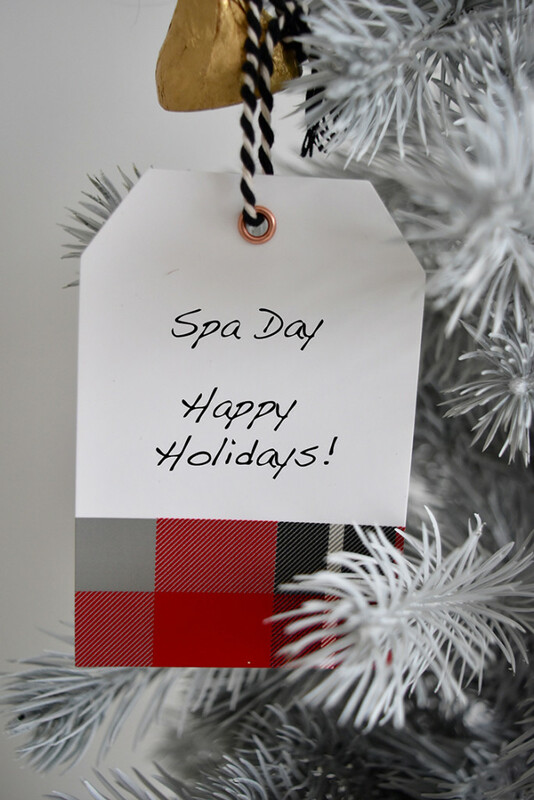 What better way to thank your staff then by treating them to a spa day? Or taking them for lunch. Or giving them an extra day off! We are so proud of our team and the work they put forth in building our business and we cannot thank them enough. 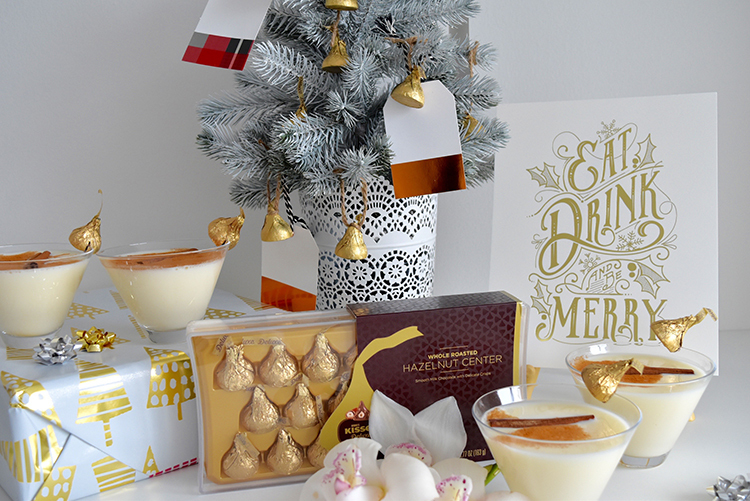 For our holiday cocktail we’re serving eggnog topped with cinnamon and garnished with a KISSES Chocolate that we affixed to the rim of stem-less martini glasses by cutting a small slit in the bottom of each wrapped chocolate. For some, we wrapped the KISSES DELUXE Chocolates gift set with festive paper and gave this mouth watering box of chocolates as a holiday present. 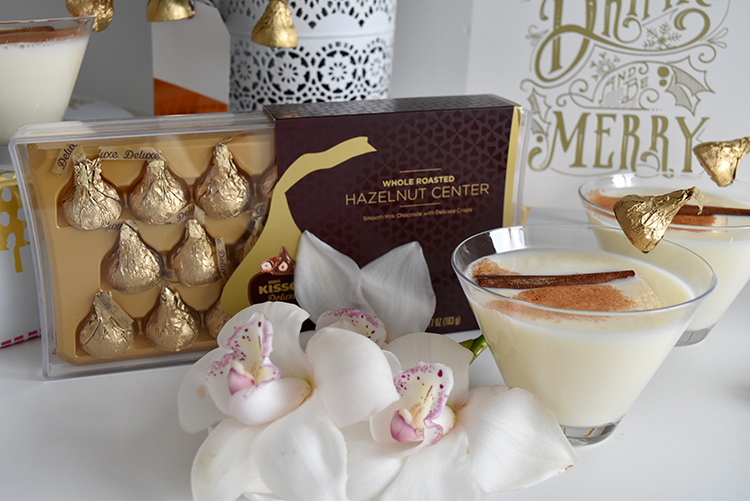 There are so many ways to #SayMore and this year we’re excited to have partnered with KISSES DELUXE Chocolates to do so in a sweet way. This post was sponsored by The Hershey Companybut all eating, drinking and being merry was our own.